SAN ANTONIO (Mar. 7, 2017) – You can hear the pride and excitement in Brian Neuman’s voice when he talks about helping other warriors. “Most of the people I know wish they had the opportunity to feel the satisfaction and sense of accomplishment that I do every day,” Brian said. 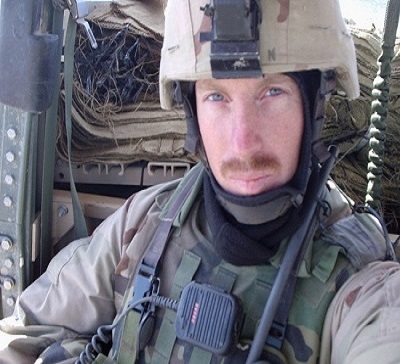 Brian joined Wounded Warrior Project® (WWP) in September 2005, so early in the organization that he was the twelfth employee, the first to work in San Antonio visiting other veterans at their hospital beds. As WWP counts up to warrior number 100,000 registering, it is looking back on other warriors impacted by the organization. Brian has the distinction of being warrior number one. It caught him off guard. 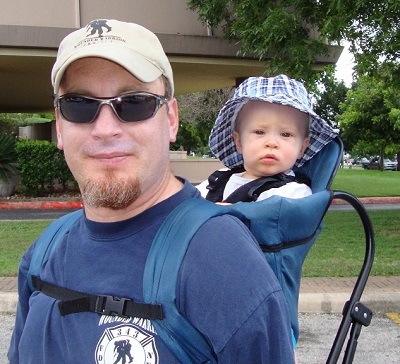 Over 14 years, WWP has delivered thousands of backpacks filled with helpful items to bedsides. As the troop drawdown has reduced the number of catastrophic injuries, WWP has shifted its focus. Now WWP connects warriors with one another, their families, and communities, and with life-changing programs and services. It serves warriors with programs targeting mental and physical health, career and benefits counseling, and support for the most severely wounded. And WWP empowers warriors to mentor other veterans and live life on their terms. Brian noticed something early on that made him seek employment with WWP. Brian started as a benefits liaison, connecting veterans with the entitlements they earned by serving their country. Part of that included helping veterans receive traumatic group life insurance (TSIGLI) – a benefit WWP worked to make possible through advocacy efforts. Brian later worked to help disabled veterans connect with one another through adaptive sports programming. Today, Brian impacts warrior connection, guiding staff to get warriors out of their homes and working toward recovery.